Please Note: Freezer bait is only able to be despatched via overnight courier. When ordering freezer bait a delivery address where someone is able to take the delivery is a must. We cannot take responsibility for an order of freezer bait that is not able to be delivered by the courier. We will inform you of the expected delivery date upon receipt of your order. It is then your responsibility to ensure the delivery can be made successfully on the specified day. Please make sure any specific delivery instructions are passed on to us at least 24hrs before the estimated delivery date. Please call to track an order. We will make every effort to deliver shelf life goods within the estimated time period, but delays are sometimes inevitable or beyond our control and time for delivery will not be of the essence of the contract. We will seek to keep you informed of any delay to your expected delivery date. Where delivery has been attempted, your delivery charge will not be refunded. To become an Urban bait account holder, you must provide some basic contact information. This information is for internal purposes: to process your order, to maintain or update your Urban account, or to send you updates about special offers, new services, special promotions, and noteworthy news and events. Urban does not sell or rent information about our customers to third parties. Urban bait may share this information with Urban bait partners or affiliates to enable them to provide you with special benefits, offers, or promotions. Additionally, Urban bait offers its account holders the choice to not receive e-mails or updates about special benefits, promotions, or offers from Urban bait, its affiliates, or its partners. If you no longer wish to receive these updates, or you wish to un-subscribe from Urban bait membership, please complete our Feedback form and let us know in the comments section that you would like to be removed from the mailing list. We do not store credit card details nor do we share customer details with any 3rd parties. Urban bait may compile data in aggregate form so that we may better understand the users that are visiting our site. For example, we may produce reports on the most popular products viewed by collecting general search term data based on individual items viewed. Aggregate data is anonymous and does not contain any personal information that identifies a user. Urban bait has several security features and practices that protect the confidentiality of your personal information. One of those features is SSL technology, which encrypts all payment information that you submit. When you visit the website, Urban bait may send your computer a cookie, which is a small file that resides on your computer’s hard drive. Cookies allow Urban bait to make its Web site more useful by storing information about your preferences. For example, if you select products and add them to your shopping cart, Urban bait will send your computer a cookie that identifies the product you have placed in your shopping cart. Cookies do not identify an Internet user; they only identify the user’s computer. You can set your browser’s options not to accept cookies, but this may prevent you from accessing all features of the website. If we have not answered your question, please contact our Customer Services Department for more information by e-mail [email protected]. We hope you will be satisfied with what you have ordered but if you do need to return the item to us please follow these instructions. If you wish to exercise your rights under the Distance Selling Regulations you may only cancel your order by writing, by fax or by email. You cannot do so by phone. Distance Selling Regulations do not apply to Business customers. If you need to return something contact us first so that we are aware an item is being returned and can give you an RMA number. See our ‘RETURNS’ section for more information. When you return something to us you are responsible for it getting safely back to us. We may be able to arrange for the item to be collected, in which case you will have to pay for the cost of collection. If the item is being returned because it is faulty we will pay the cost of returning it. Any goods returned to us must be returned with all associated items originally sent as part of the product and in the same packaging. Refunds will be processed within 30 days from the date you tell us of a product return and refunds will not be issued until the product has been received by us in its original or delivered state. When you return anything to us you should make sure it is suitably insured based on the value of the product. This means that the full value may be recovered by you if the product is lost or damaged. You should retain any receipt confirming the return. If returned products are lost we will not be liable for them. Under the Distance Selling Regulations you have the right to cancel your order for any item purchased on our website and claim a full refund. This right does not apply where the product seal has been broken. To cancel your order you must notify us within 7 working days following the day of delivery. You must return the item to us as required by our Terms but if you do not or if you return it at our expense we may charge you the reasonable costs of returning it. The goods must be returned in an unused and re-saleable condition. You are responsible for the cost of safe carriage back to us. You are strongly advised to arrange for adequate insurance to cover the product during its return journey. The item should be returned within 7 working days from the date we receive your cancellation. If you are unable to return it to us within 7 working days you must contact us to arrange a collection which will be at your cost. Products can only be returned if the seal on the product is completely intact. The only exception to this is if the product is faulty. See our ‘RETURNS’ section for more information. Any product supplied to you must be used for its intended purpose and not be subject to abuse or unreasonable usage. If you have to return something to us because of an error on our part we will exchange or refund the product for you. We will also refund any reasonable associated carriage costs. See our ‘RETURNS’ sections for more information. We are not obliged to accept the return of a product unless covered by the Distance Selling Regulations as outlined in DISTANCE SELLING REGULATIONS Section and you have notified us of cancellation in writing within 7 days of delivery, except where the product is faulty. We are entitled, subject to our discretion, to accept products that are unopened and unused subject to the deduction of a handling and administration fee of 20%. To find out whether this will be possible, please contact us before seeking to return or send anything to us. If we authorise the return of an unwanted or incompatible product, you are responsible for the cost of safe carriage to us and we would advise you to organise appropriate insurance. See our ‘RETURNS’ section for more information. When ordering from us you must be older than 18 years old. A contract comes into effect between us when we have confirmed acceptance of your order. We are not obliged to supply goods to you until we have done that. Ownership for the goods transfers when we have been paid in full and delivery has taken place. All products are supplied subject to availability. If we are unable to supply any product, we will inform you of this as soon as possible. All listed dimensions are approximate. If you are planning to use them please make sure that you have the appropriate product. Urban Bait accepts no liability whatsoever where products are misused or not used in accordance with instructions. The price you pay is the price shown on this website at the time we receive your order apart from the following exception. We always try to ensure that all the prices on our website are accurate and up to date but mistakes may occur. If we discover a mistake in the price of goods you have ordered we will inform you as soon as possible and give you the option of reconfirming your order at the correct price or cancelling it. If we are unable to contact you we will treat the order as cancelled. If you cancel and you have already paid for the goods, we will give you a full refund. Prices shown are inclusive of VAT at the current rate. Payment can be made by most major Credit Cards or by sending in the printed order with an accompanying cheque. We will take all reasonable precautions to keep the details of your order and payment secure, but, unless we are negligent, we cannot be held liable for any losses caused as a result of unauthorised access to information provided by you. The Urban Bait Ltd site and its content are provided to you on an “as is” basis. We make no warranties of any kind, either expression infringement to the fullest extent permissible pursuant to applicable law. Although we use our reasonable best efforts to ensure the accuracy of the Content on our site, we make no representations or warranties as to the accuracy, correctness, or reliability of the Content. Further, we make no representations or warranties that the functional aspects of our site will be uninterrupted or error-free, or that our site or the server that makes it available are free of viruses or other harmful components. (Because some jurisdictions do not allow for the exclusion of implied warranties, some of these exclusions may not apply to you.) You acknowledge that your use of our site is at your own risk. As a convenience, our site links to other sites that may be of interest to you but are not under our control. These links do not imply an endorsement by Urban Bait, and we are not responsible for the availability of or the content contained in any linked site. By using the Urban Bait content, you agree that Urban Bait shall not be liable for any damages (direct or indirect, consequential or incidental) or any claim arising out of the use of this original content. Urban bait will not be liable for any claims which arise from the supply of products unless we are negligent but we will not in any event be liable for any consequential loss except where this is required by law. We will take all reasonable precautions to keep the details of your order and payment secure but unless we are negligent we are not liable for losses resulting from unauthorised access to information provided by you. The Contracts (Rights of Third Parties) Act 1999 is excluded from applying to contracts made under these terms. These terms cannot be altered or suspended in any way except with the written authority of a director of Urban Myth Angling ltd.
Urban Bait” and the Urban Bait logo are trademarks of Urban Myth Angling Ltd. You may not use our trademarks without our written permission. This site is owned and operated by Urban Myth Angling Ltd (referred to as “Urban Bait,” “we,” and “our”). All content included on our site, such as images, photographs, illustrations, text, and software (referred to as “content”) is owned by Urban Bait or our content providers. All content is protected by UK and International copyright laws. You may use Urban Bait content for your personal and non-commercial use only. This means that you may view, browse through, the Content on your computer. You may also download or copy the Content on a single computer for your personal, non-commercial use, provided you retain all credits and copyright notices associated with the Content. You agree to comply with all applicable laws and regulations when using Urban Bait. You may not use Urban Bait for chain letters, commercial solicitation, any form of “spam,” or other mass mailings. You agree to defend, indemnify, and hold Urban Bait and its affiliates, officers, employees, and agents harmless against any and all claims asserted against Urban Myth Angling Ltd and its affiliates, officers, employees, and agents as a result of your use of Urban Bait. Excepting these limited uses, you may not reproduce, distribute, transmit, print content or transfer content on any tangible medium, or otherwise exploit the content in any way. In particular, you may not include the content in any other publication or product, or on any other Web site, including personal Web sites. Defamatory, or otherwise unlawful use of the Content is prohibited. In addition, you must abide by all other terms, conditions, and restrictions contained in any other agreement associated with the content throughout our site. . Excepting these limited uses, you may not reproduce, distribute, transmit, print content or transfer content on any tangible medium, or otherwise exploit the content in any way. In particular, you may not include the content in any other publication or product, or on any other Web site, including personal websites, or on any computer network. Defamatory, or otherwise unlawful use of the content is prohibited. In addition, you must abide by all other terms, conditions, and restrictions contained in any other agreement associated with the content throughout our site. You may not use or incorporate Urban Bait images in any materials, goods, or services for which you charge or collect any fees, money, or other considerations, either directly or indirectly through advertising, sponsorship, or otherwise. You may not use or incorporate Urban Bait in any advertising or promotional materials.You may not use any Urban Bait content that contain recognisable, entities, or products in a manner, which suggests their association with, or endorsement of any product or service. You may not remove, disable, or attempt to remove or disable any propriety notices or markings that may be included with the Urban Bait products. 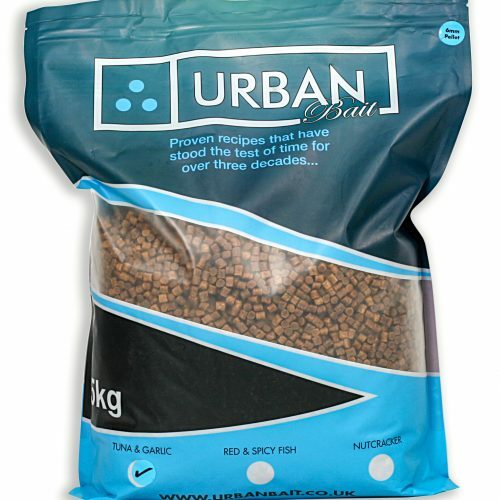 The Urban Bait products are the proprietary and copyright materials of Urban Myth Angling Ltd and/or its suppliers, and all rights, titles, and interests in and to the Urban Bait products remain with Urban Myth Angling Ltd and its suppliers.